Being a trusted name in the world of bathroom fixtures for around two decades, JIS Designer Radiators were the first to introduce heated towel rails made from 100% stainless steel to UK. The fine-quality construction of all the products coming from this prestigious brand gives them the credibility to flaunt a 25 year guarantee. 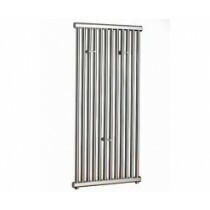 Polished towel rails, stainless steel radiators are amongst its chief offerings. JIS also offers a large collection of contemporary-style accessories made from 100% recyclable and environment-friendly stainless steel that can suit any project needs. Browse through this category to give an interesting update to any bathroom interiors.